Cape Breton Tourism Spotlight: St. Peter's Pirate Days Back Again for Another Great Event - September 15th to 17th. St. Peter's Pirate Days Back Again for Another Great Event - September 15th to 17th. 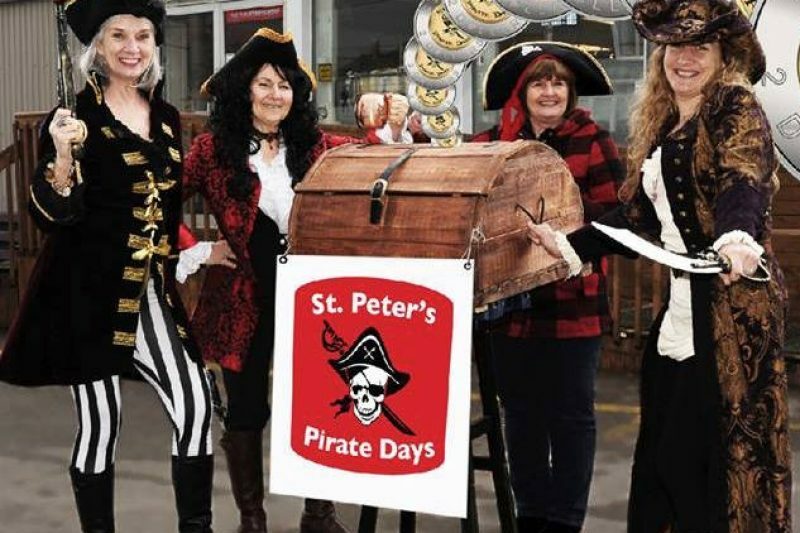 The Annual St. Peter’s Pirate Day will be back again this year, with fun for everyone. It is scheduled to take place from September 15th to September 17th. Visitors to our fair village can expect to see a slightly different look than what they were expecting, as businesses deck their store fronts out in full Pirate flare. During the two days of celebrations, don’t be surprised to see some unsavory looking characters wondering the village streets, but be assured this is all in fun and a great photo opportunity as well. It might be a good idea to brush up on a little pirate lingo, just to add to the fun. St. Peter’s has a rich historic past, but some may not realize that we did have some pirates visit our shores in years gone by and plundering of our businesses may not have been just an old mans tale, as recalled in a post by Al Calder who shared a little history about St Peter's. During Pirate Days this past summer several people mentioned that there were never pirates who actually raided St Peter's. After reading an essay prepared by the late Harvey MacEwen, in 1976 on the Kavanagh family 1777 to 1923, in which MacEwen mentions, "In spite of several raids on his business (Lawrence Kavanagh Jr.) at St. Peter's by New England privateers, in which severe losses were suffered, the Kavanagh business prospered greatly". After reading this post, I guess it is true to say that we are celebrating a little bit of our own colourful past. I am sure that this years Pirate Days will be a huge success, and I look forward to seeing what organizers of the event have in store for us. 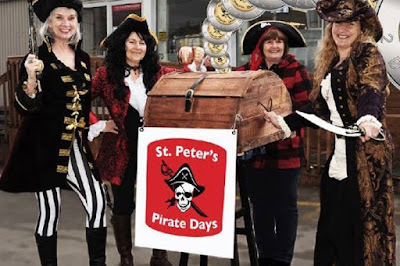 One great idea, the committee has come up with this year to help with the cost of the event is The St. Peter's Pirate Days Treasure Chest, which is a new game of chance. Those who would like to play and to support the St. Peter’s Pirate Days can register a number, which will be yours for the next 52 weeks. Play your number for $2.00 each week, half of the bounty collected each week is the prize payout. For more details on the draw and to register stop in at B&E General Store in St. Peter’s. Follow Pirate Days on Instagram @stpeterspiratedays and Twitter @Stpeterspirates.